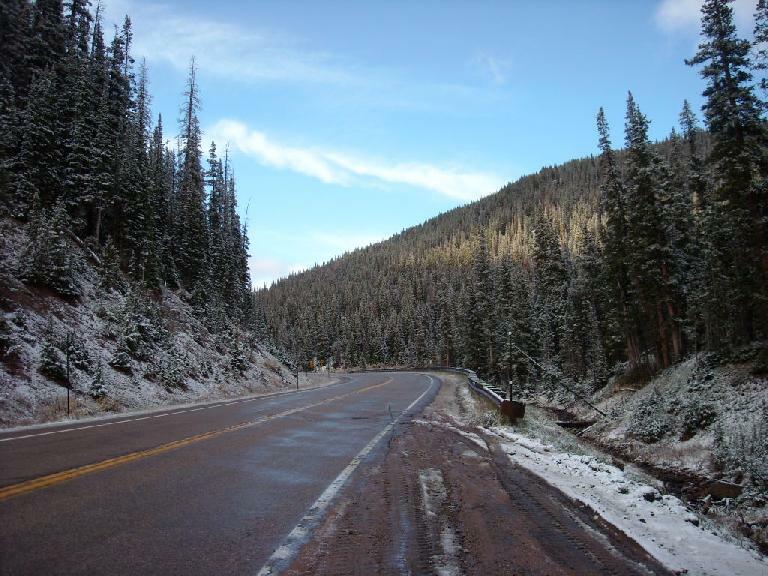 Colorado scenery is lovely during so many weeks of the calendar that having to pick one’s favorite time of year can be mentally wrenching. Trying to do so is like trying to decide whether Scarlett Johannson is more attractive than Natalie Portman or Jessica Alba or Deanna Russo. 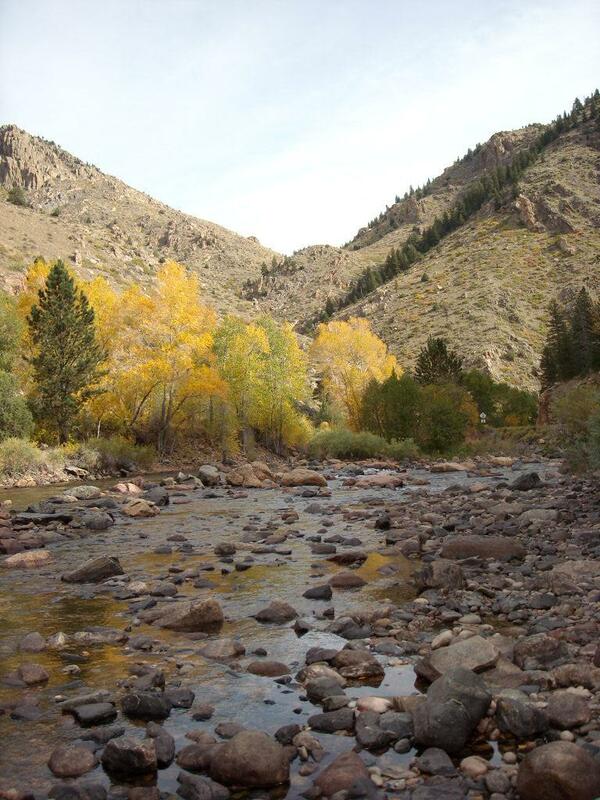 Like the Colorado seasons, all are beautiful but in different ways. 2008 was no exception. This was my fourth October in Fort Collins, having moved here in October 2005. 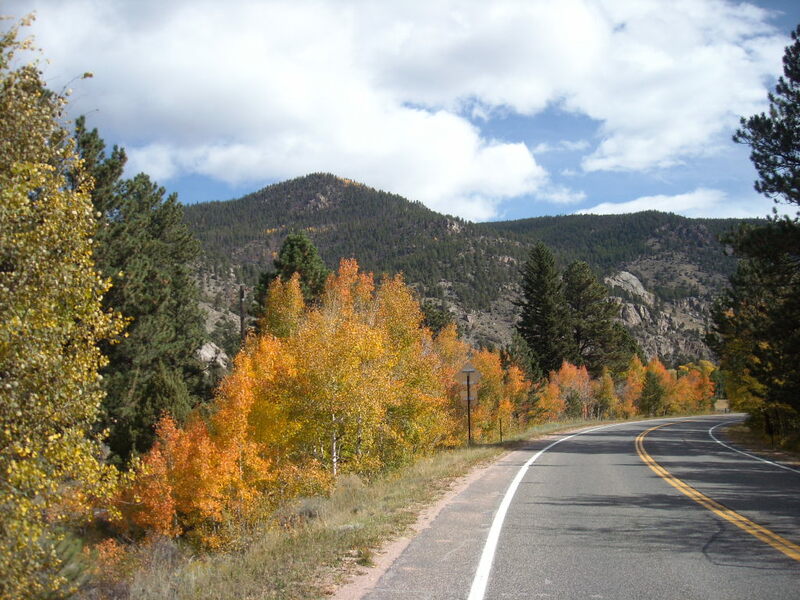 And this fall, my friend John from Florida came to visit, wanting to see the famed Colorado fall colors. He picked the right week to see them, as evidenced by a couple of the trees outside my house having turned orange or red just about five days before he arrived. 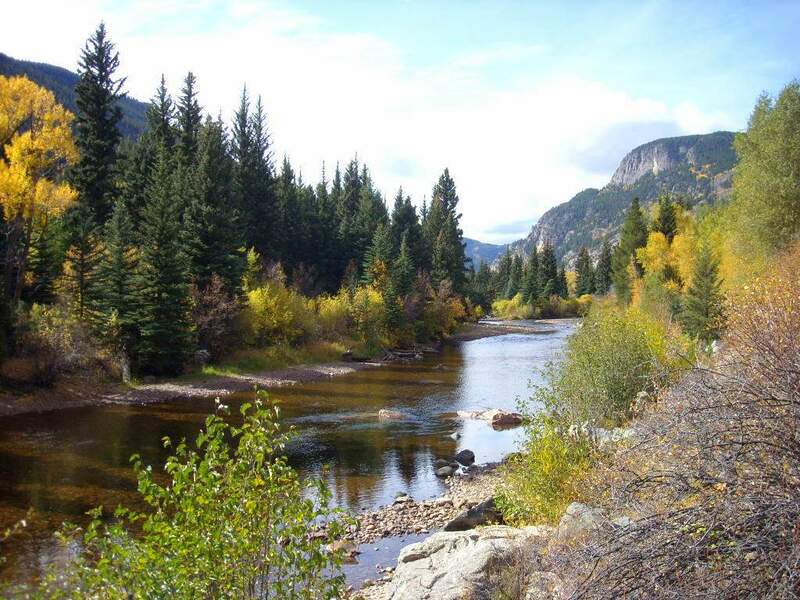 Having already seen the fall colors in Summit County, the San Juan Mountains, and of course, along the Front Range in years past, I decided to drive through the Poudre Canyon and over to Steamboat Springs. Steamboat, after all, is only about 150 miles west of Fort Collins, not to mention is a place I have a soft spot for especially after getting multiple bike repairs done at the Orange Peel Bicycle Shop there 1500 miles into the Tour Divide a few months ago. We started heading west on Highway 14 at about 10:00 a.m., stopping several times along the side of the winding ribbon of pavement to get out of the car, stretch our legs and shoot some nature photos. 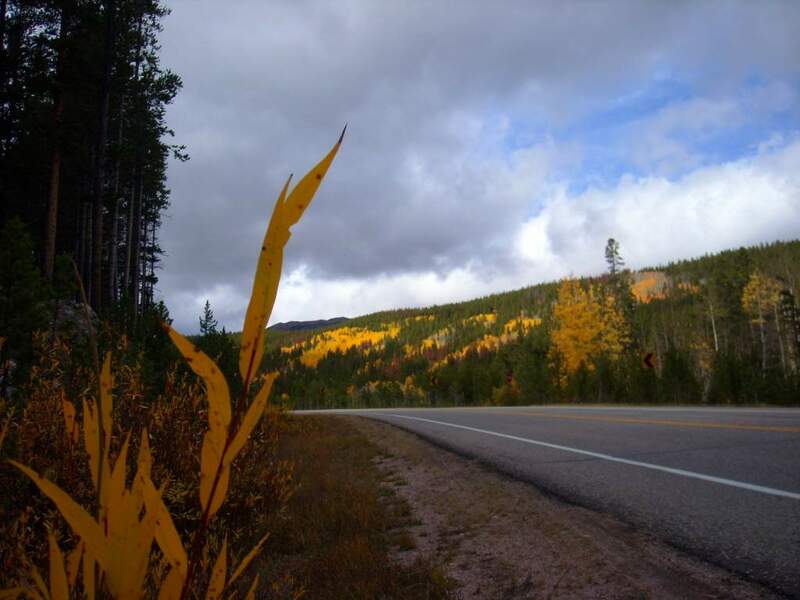 The numerous aspens delighted us with their shades of yellow, orange, and light green while a gentle breeze ruffled their leaves with a sound most soothing to the spirit. 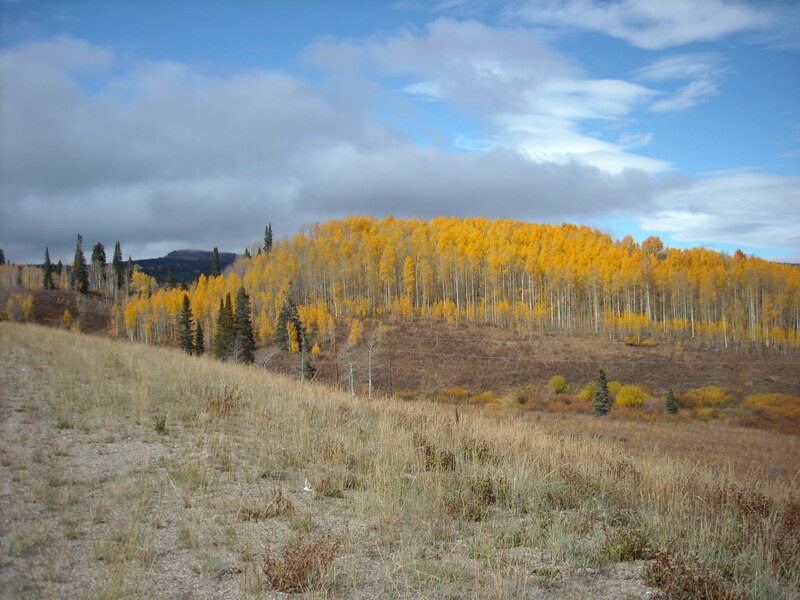 The aspens were interspersed within the evergreens, providing a sharp contrast in colors, like orange and yellow paint splashed upon a canvas of dark green and maroonish pine. Maroon? “Ah, probably the result of the pine beetles,” I remarked. Colorado forests are currently under siege by one of the worst pine beetle infestations in history, with hundreds of thousands of acres of trees being killed. There’s little forest management can do about this but witness how the pine beetle, coupled with global warming, is changing the face of the Colorado mountains. Nevertheless, the scenery was awe-inspiring (aside from a few flat, barren sections just west of Walden) all the way to Steamboat Springs. 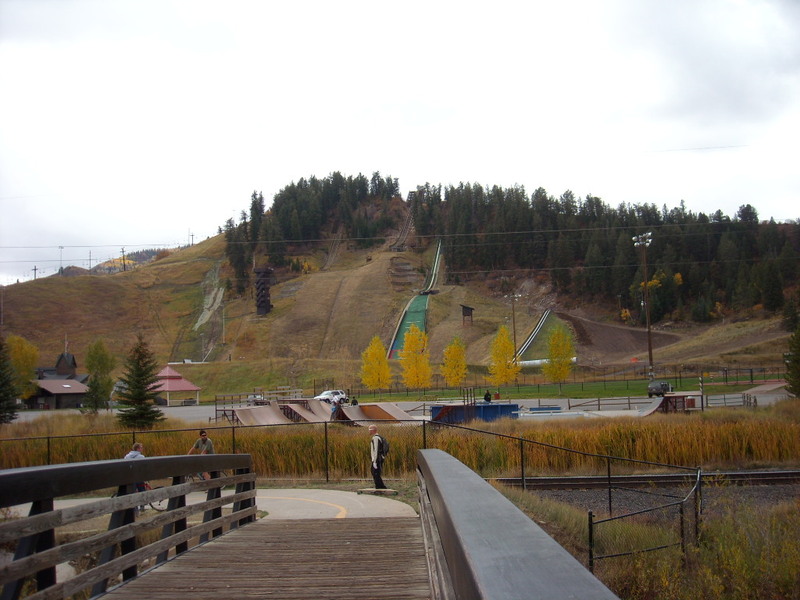 There, we had lunch at a pizzeria, stopped by the Orange Peel Bicycle Shop, and took a short stroll along the recreation trail running by the bike shop over to Steamboat’s famed Olympic ski jump. 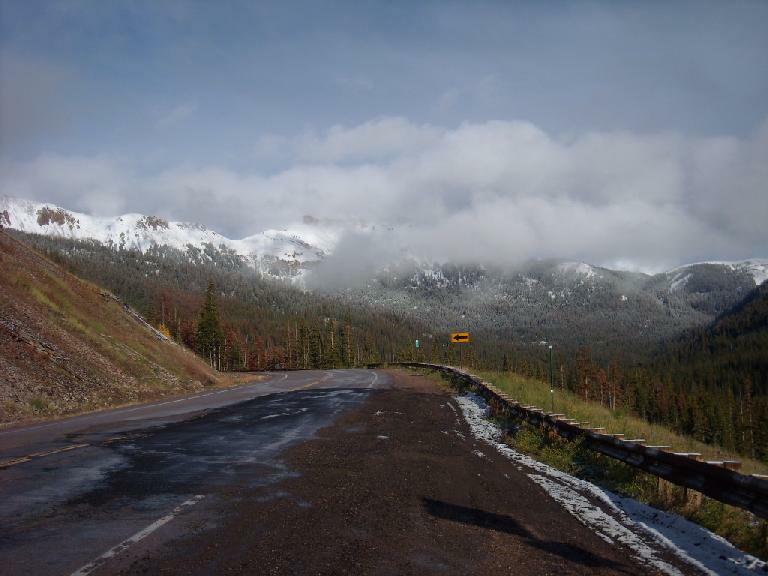 We then headed back to Fort Collins the way we came, but Cameron Pass looked quite a bit different than it did in the morning. The trees were white, as apparently it had snowed! So not only did we see some fall colors, but we saw some winter colors as well. It’s just as well. It’s kind of like even though I’ve enjoyed seeing Deanna Russo on the television set this fall, I sure don’t mind the occasional glimpse of Scarlett Johannson on the big screen as well. Different colors, different strokes. Nice! I especially like the one with the aspens in the background.